Ultra moist, absolutely scrumptious and easy-peasy (yup! one bowl! 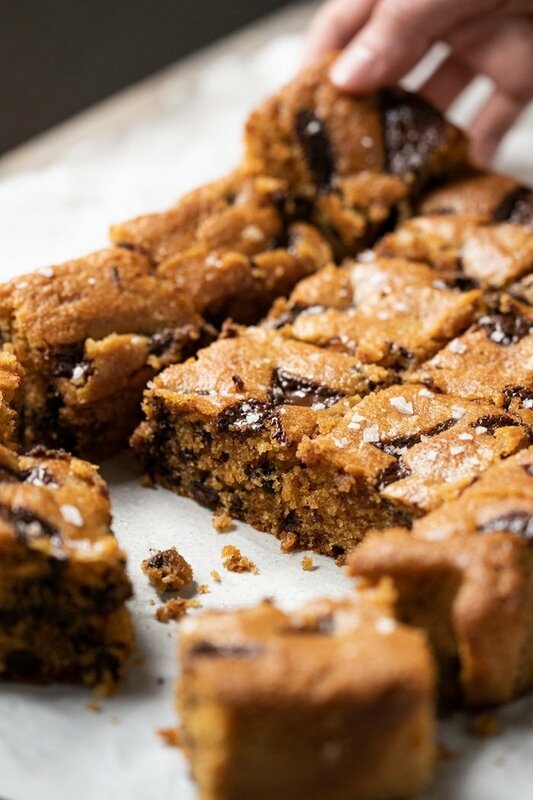 ), these gluten free and keto peanut butter blondies are a true delight! Think staple pantry ingredients and just 2g net carbs a pop! I’m just gonna throw this out there, but I’m fairly certain that this is the easiest baked recipe in the entire site (hooray!). One bowl and a handful of staple pantry ingredients is all you need. Peanut butter is also incidentally one of my favorite things ever (anyone else?!). But it can get a little dry in baked goods at times, which is what is so astonishing about these peanut butter blondies. They. Are. Moist! Whether you like them fudgy or cakey (be sure to see notes in recipe! ), the melt-in-your-mouth crumb is sure to tickle your palates! Trust me on this one. 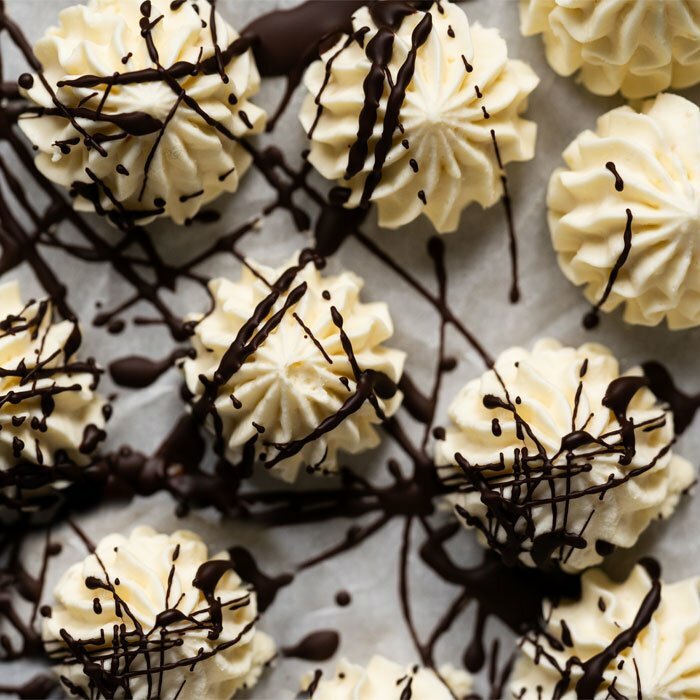 Whisk it all together, throw in some chocolate (optional… but highly suggested!) and bake into pure awesomeness. p.s. Remember that peanut butter loooves salt, so a light sprinkle of flakey sea salt is highly suggested too! And Maldon flakes are the undisputed (commercial) best, by a mile. 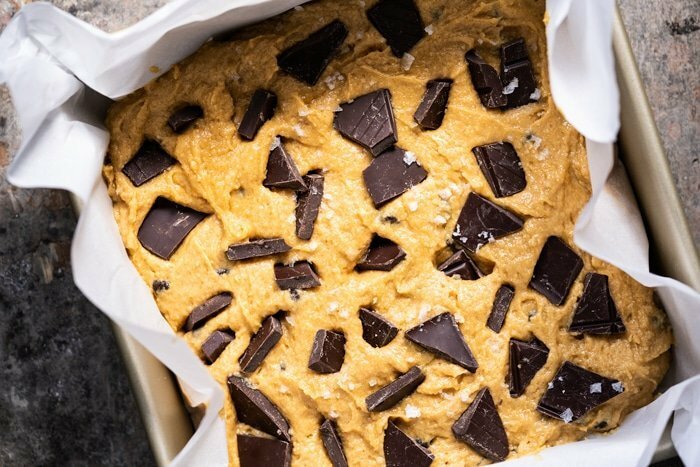 While these keto peanut butter blondies are super moist, it’s still best to be sure not to overbake them! 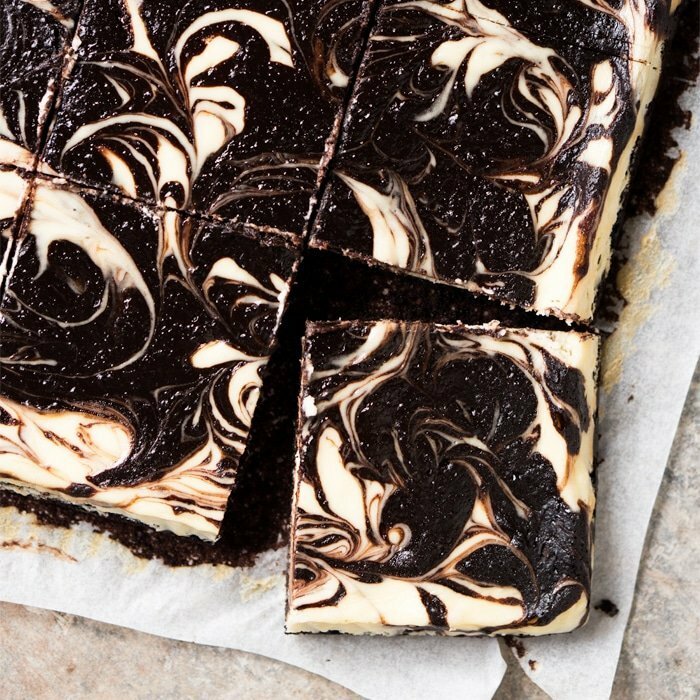 Just like our suuuper fudgy keto brownies, timing might just be the most important rule when making these guys. So keep an eye out for them, and take them out once the center is just set and a toothpick inserted comes out moist (but not drenching). When it comes to peanut butter, and nut butters in general, we always prefer the homemade route. Though of course, any peanut butter will work the charm. Just keep in mind that natural peanut butters, the homemade kind or the ones haven’t had their oil removed, will be pourable at room temperature and have the tendency to split overtime. And if you’re keto, these are the ones you want to procure. As with most of the solid ones they’ve cheated you out of the fat, and automatically upped your protein and carb ratios. So check your labels! Having said that, you could also do 1 cup almond and 1/3 cup peanut flour. I’ve tried both and might lean towards the combo, as you get an even stronger PB kick. But if you don’t have any peanut flour handy (and I’m assuming most of you don’t! ), just don’t sweat it and do all almond. But if you love them (and I’m fairly certain you will! ), come back and purchase the peanut flour. 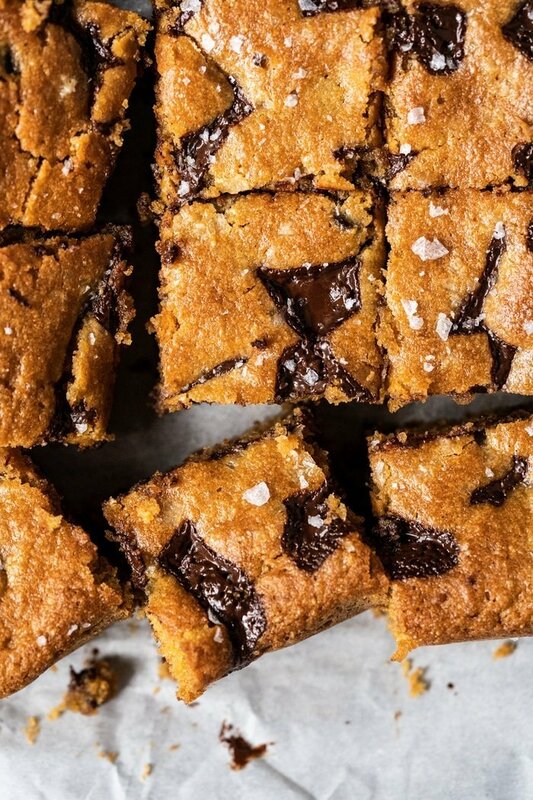 Because these blondies are bound to become household staples. You’ve got a couple options here. Xylitol (non-corn though to avoid tummy troubles!) is my top choice (no aftertaste, best and chewier texture), Lakanto (barely any aftertaste, and many of you also love the Golden version), and powdered Swerve (some cooling sensation, but still great). Xylitol takes (much) longer to dry out though so your blondies will be extra delicate (think gooey) right after baking. Oh, and if not restricted by sugars, simply sub 1-to-1 with coconut or regular sugar. And if using xylitol, make sure to be careful if you have a pup (or kitty!) around the house, as it’s highly toxic to the little guys! Music on (pretty please! 😜). Ultra moist, absolutely scrumptious and easy-peasy (yup! one bowl! 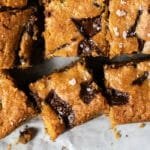 ), these gluten free and keto peanut butter blondies are a true delight! Oh, and just 2g net carbs a pop! Position a rack in the lower third of your oven and preheat to 350°F/180°C. Line with parchment paper a 9x9-inch baking pan. Set aside. Add butter, sweetener and peanut butter to a large bowl and whisk until thoroughly combined, the mixture will be very thick. Add one egg at a time, whisking well after each one until completely incorporated. The texture should appear smooth, with most of the sweetener (xylitol) dissolving into the mixture. Erythritol doesn't dissolve much, which is why you want to use powdered form (or DIY in a blender!). Whisk in the vanilla extract. Add the almond flour, salt and baking powder and whisk vigorously until fully blended (about a minute). The mixture will be very thick! 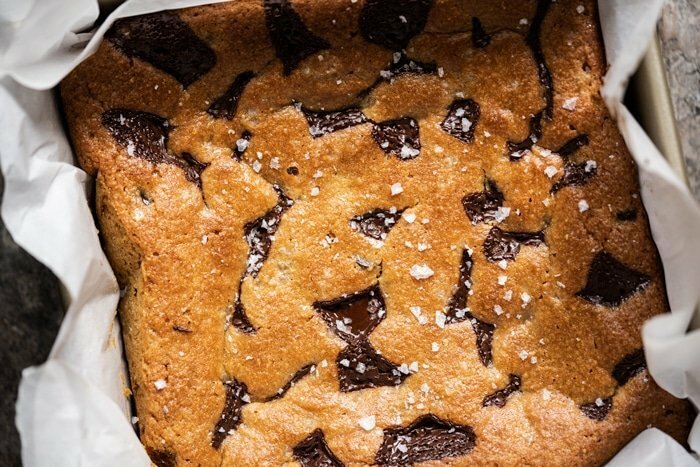 Fold in chocolate chips (optional, but highly suggested! 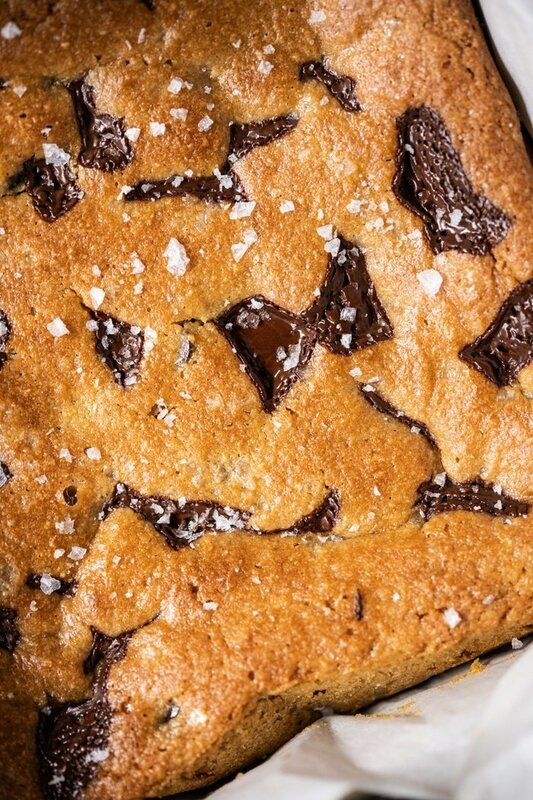 ), transfer batter to prepared baking dish, and top-off with chocolate chunks and flakey sea salt (again, optional but highly suggested). Bake for 20-27 minutes (I do about 25), until the center is just set. This really does vary (a lot!!) from oven to oven (think convection etc), so give them a check from minute 15 the first time around, and remember that you're blondies will continue to cook while they cool. Sprinkle with flakey sea salt (optional) and allow to cool completely on a rack. 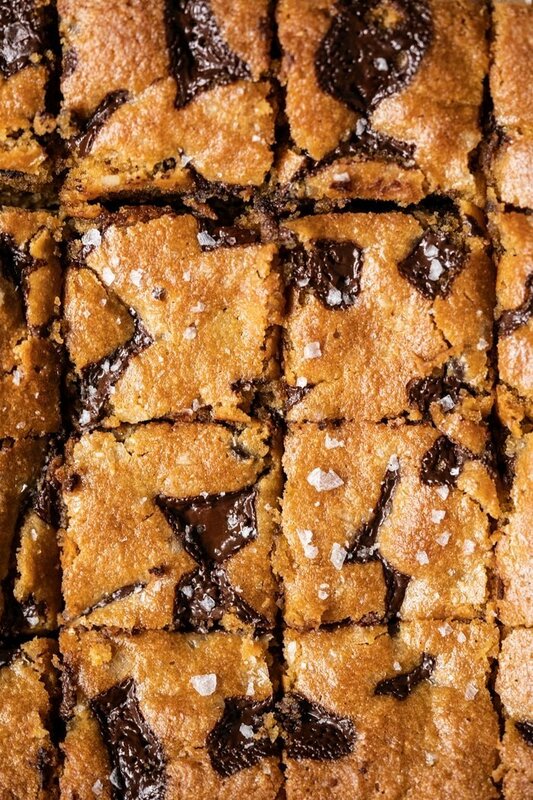 Lift blondies using the edges of the parchment paper and cut into desired size (I do 16!). Store in an airtight container for about 5 days and in the freezer for a month. Check out the following notes to be sure the pb blondies come out to your taste buds' desire! *Please see section on sweeteners for deets and possible substitutions. My top choice is xylitol (non-corn though to avoid tummy troubles! ), or golden erythritol as a runner-up. **Peanut butter varies a lot! Luckily these blondies aren't fussy at all, but I generally just grind peanuts in my food processor until smooth. Just be sure to check your labels for no added sugars, thickeners etc as nutrition values can vary widely! **2 or 3 eggs, that is the question! Use 2 for a denser blondie and 3 for a more cake-like one. I actually prefer 3 here as the crumb ends up impossibly tender and moist, but they're awesome with 2 as well if you're into extra fudgy goodies. **** You can either do all almond flour, or do 1 cup almond and 1/3 cup peanut flour. I've tried both and might lean towards the combo, as you get an even stronger PB kick. But if you don't have any peanut flour handy (and I'm assuming most of you don't! ), just don't sweat it and do all almond! But if you love them (and I’m fairly certain you will! ), come back and purchase the peanut flour. 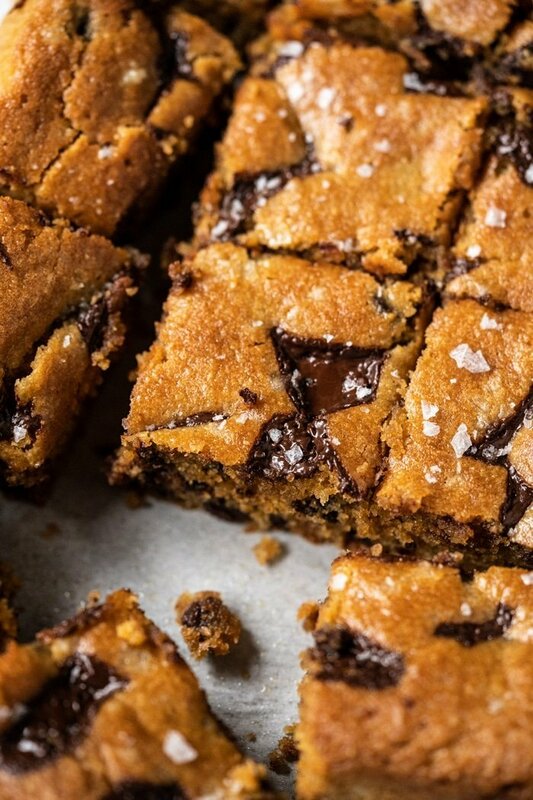 Because these blondies are bound to become household staples. I have friends who are doing keto, and when I meet up with them for table top games, I try to be as good about catering to their diet as much as possible! 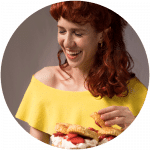 Your site is a huge help when finding creative dinners and desserts! – Lily’s chocolate chips, though I did use 3/4 cups cause I like my chocolate! Just so I don’t lose this comment, I’ll reply probably tomorrow with how everyone liked it. Hope they love it Lexi! And happy to hear the recipes have been enjoyable 😉 xo! Everyone liked them a lot. I still couldn’t taste as much peanut butter as I wanted (so I probably will try the peanut butter flour next time!). I forgot to mention I definitely added another 1/4 – 1/3 cup peanut butter or so (I didn’t measure it) because when I tasted the batter, all I could taste was the Monk fruit sugar. They were definitely a bit dry on the edges (which was totally my bad for not checking at minute 22). One of my friends couldn’t eat any because he’s allergic to nuts, so next time (when I bake for this group of friends), I’m going to try using sunflower seed flour (thanks for answering that question in another comment!). I need a bit more help to help diagnose! Did you substitute anything? When did it become oily? I was looking for the vide link?? I’ve eaten almost the whole tray I made last weekend! After I “hid” them from myself in the fridge, they were even better!! These are going on my Christmas cookie gifting list for sure. 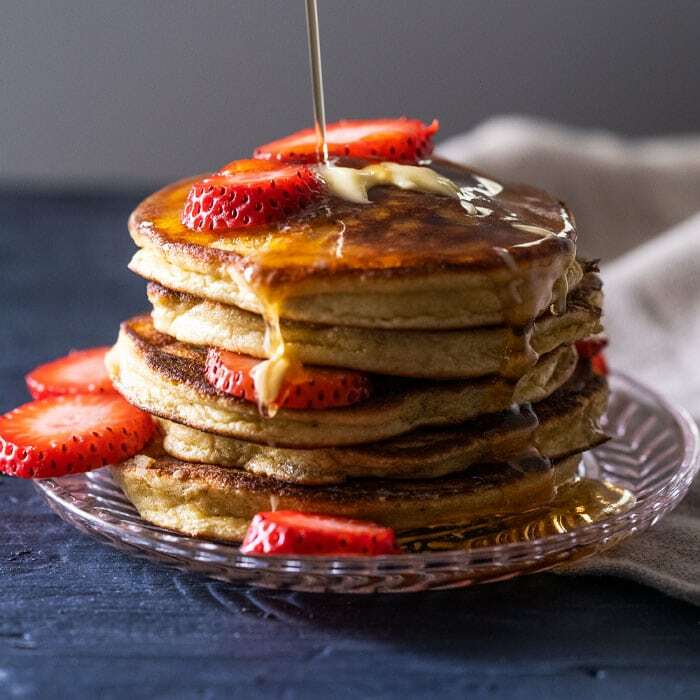 I made these a couple days ago and have been hating you ever since – they are so good I can’t stay away from them😁 I finally put them in the back of the fridge where I can’t hear them calling me. Next time I’ll leave out the Lilly:s chips because my husband really doesn’t like dark chocolate but he really likes peanut butter! Thank you for a terrific recipe!! YUM!!!!!!! I don’t see the comment I just left…maybe it just hasn’t posted yet, but these are SO AMAZING!!!! 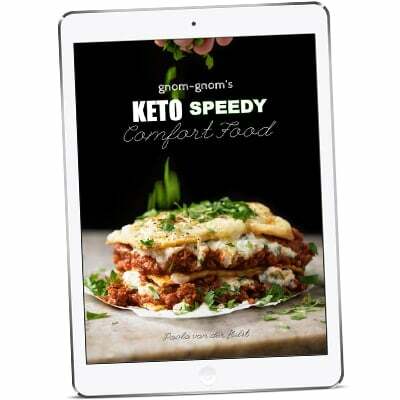 No one would ever guess they are keto-friendly!!!! I just left a comment saying I baked mine for 35 minutes and then realized my pan was 8 x 8 and not 9 x 9! So that’s why it took longer. Oh my goodness! These are amazing!!!! THANK YOU for sharing this!!!! No one would EVER guess they are keto!!!!! I made them exactly as instructed (used 3 eggs) except I reduced the chocolate chips to 1/3 of a cup because the sugar-free ones are so expensive and mine took about 35 minutes to bake. These will be made over and over in my house!!!!! These were soooo good. By far the best keto brownie/cake I’ve made in a very long time. I did share the recipe on my blog with a link to this so that I could remember the conversions from grams to cups to make it easier for me later. Thank you!!! I made these last night. I used 2 eggs, an 8×8″ pan, and I didn’t add chocolate chips. I used a convection oven at 350 and baked them for 21 minutes. They came out a bit too dry and slightly burnt, however, still edible! They are more cookie now. Next time I will bake them at 16 minutes, I reckon’. I chilled the bar and made a chocolate topping: I melted unsweetened a 4 oz. chocolate with 1 Tbsp. coconut oil. Then I added powdered erythritol to taste, plus two scoops of vanilla whey protein to thicken it. I poured it on top and the chocolate hardened. They are neat bars, but next time I will make them more cake-like by adding another egg and making a frosting with butter, cocoa, and maybe cream cheese. Great recipe to play with! I can’t wait to try these. Just wondering, did you use a different type of chocolate chip in the picture? It looked more like cut up chips than the ones shaped in Lily’s. If so, what brand did you use? Firstly, I love all of your recipes! I am such a fan of your cooking and baking skills. Although I personally love peanut butter and could literally eat it all day long, my family members have allergies to nuts. Is there a way to make this recipe and just omit the nut butter altogether, or would I have to add something else in to the bowl in order to keep the consistency and ratios correct? These are AWESOME! I am scrounging my pantry for the last of our pecans so I can make a pecan butter version with chopped pecans in place of the chocolate. This recipe is amazing and it seems like any nut butter could be used. The variations are endless! I went to a potluck last night and they broke out a potluck last night and the host broke out a p-nut butter cookie roll and made them. Everyone (6 friends) ate them. Me? I passed and came home and found this recipe. Thank you so much. I’ll be making these today. I saw this recipe today and made the blondies a couple of hours ago. BEST Keto dessert recipe I’ve ever tried!!! I added too much sweetener so I’ll cut back next time and believe me, there will be a next time. Thanks for a great recipe. How long will these keep once cut into squares? Do they need to be refrigerated for longer storage? How would you adjust this for a 9×18 cake pan? Double the recipe? YES! I baked this last night and it turned out SO GOOD! I’ve been searching for keto-friendly cookie recipes that are also dairy-free. This is not only the best keto dessert recipe I’ve made, but it’s also one of the best dessert recipes I’ve made period! It came out thick, moist, and the perfect balance of dense/cake-like. It also held together well enough to cut up and put in mason jars to give as gifts. Thank you Amy. I’m going to try Paola’s way first and then your to make a bigger amount. 😄 LOVE the video!!! A) I don’t know how i’ve Just now stumbled upon your site, but I feel like I fell down a rabbit hole and I have a grocery list a mile long! We’ll done! Hahaha!! B) I’m so excited to try these today! I’m going to make two batches, one with pb and one with almond butter. I’ll report back! 😂!! Hope you love them Melinda! Hi! If I only have an 8×8 glass baking dish (purchased for making your fudge brownies 😍), how would you recommend I adjust the baking time? Great! I have made the brownies a couple times, and have yet to get that bake time right (always overdo it). Making these for a dinner with friends tonight, so I just have one shot.. wish me luck! Hi Lynn! Ohhhh I wonder if the hazelnut butter with some cocoa powder would transform to Nutella? I’ve been working on a Nutella recipe and it works super well! I bake in a traditional oven (nothing special really… its 20 years old and I have to prop the door open to regulate the temp 😂). I think whats important in the end with ovens is to get to know them (and a 10 bucks oven thermometer always helps!) xo! Oh man yeah I totally didn’t answer your question did I?! 🙈 So I did have an oven that had both capabilities in my London flat, but I kept getting dry baked goods… But I also learned to bake in a traditional oven so maybe I didn’t give it a chance and just stuck with what I knew. Though I know from general baking guidelines that fans can cause problems with cakes setting too fast etc xo! Hey Paola! Are the nutrition values including the chocolates chunks? I included Lily’s chips in the nutrition!